The National Recreation and Park Association (NRPA) periodically posts information about grant and fundraising opportunities that are available for park and recreation agencies and affiliated friends groups and 501(c)(3) nonprofits. The Substance Misuse Community of Practice (CoP) has been created to help address the complex issues park and recreation (P&R) agencies face with substance misuse and related paraphernalia on park grounds. Within the CoP, a "prevention" cohort will focus on substance misuse risk factors, recognizing and responding to substance misuse, out-of-school time (OST) policies and procedures and programming efforts, community-wide prevention efforts, and related professional development/training opportunities. Additionally, an "operations" cohort will concentrate more on park safety and maintenance, to include best practices for handling substance misuse, staff safety, needle and syringe clean up, referral systems for substance misusers, and developing community-wide efforts and public health partnerships. Members of each group will work together to create a network of support focused on assessing, exploring and establishing partnerships in their communities to leverage community assets that will help them overcome the various challenges faced when addressing substance misuse in parks. Over a period of one year (April 2019-2020) NRPA, a group of agencies and occasional guest speakers will meet virtually to help each agency build internal and external capacity to sustain substance abuse prevention efforts. This is an opportunity for P&R professionals to work collaboratively with other agencies across the country to identify sustainable solutions to the variety of challenges faced by local park and recreation agencies in America. For more information on participating in the CoP, contact NRPA Program Specialist Lauren Kiefert. The Centers for Disease Control is seeking to fund government agencies to advance development of effective public health emergency management and response programs. This funding opportunity aims to strengthen and enhance the capabilities of state, local, and territorial public health systems to respond effectively (mitigate the loss of life and reduce the threats to the community’s health and safety) to evolving threats and other emergencies within the United States and territories and freely associated states. Awards will be between $350,000 - $10,000,000. Applications are due May 3. Learn more and apply. The U.S. Soccer Foundation has announced upcoming grant cycles for the Safe Places to Play Grant program to support soccer field-building initiatives nationwide. Funds are available for field space that will be used for a soccer a majority of the time. Funds may support irrigation, lighting, AstroTurf, and modular athletic flooring material costs. Eligible applicants include nonprofit organizations, city governments, schools, churches, and other nonprofit entities. The 2019 Letter of Interest (LOI) deadlines are May 24 and September 27. Learn more and apply. Applications are currently being accepted by the Consumer Product Safety Commission (CPSC) for the FY 2019 Pool Safely Grant Program (PSGP) to prevent the drowning and drain entrapments of children in pools and spas. A minimum of 50 percent of award funds must be used to support enforcement personnel for implementation and enforcement of pool safety requirements. The remainder of funds may be used to support a variety of drowning prevention education activities. States and local governmental entities (including counties and cities, park and recreation agencies, school districts, or any other agency or instrumentality of a local government) are eligible to apply for awards. Applications are due June 5. Learn more and apply. The Tony Hawk Foundation is accepting applications through the Skatepark Grant program to promote high-quality, public skateparks in low-income areas throughout the United States. 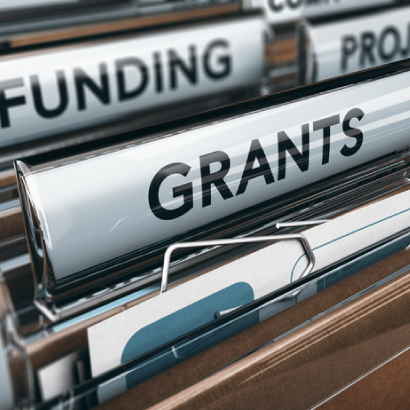 Grants ranging from $1,000 to $25,000 are available to support the design, development, and construction of quality new skateparks on public property that will be available for free. Eligible applicants are 501(c)3 nonprofit organizations and state and local agencies, including public school systems and public projects. The application deadline is June 13. Learn more and apply. SSDN is proud to partner with The Kendeda Fund again in 2019 to launch the third round of the Southeast Sustainable Communities Fund. Grants will be awarded to local partnerships to advance local government policy, plans, or programs that will create equitable and sustainable energy and/or water initiatives. This funding opportunity is open to any community located in the Southeast (Alabama, Arkansas, Florida, Georgia, Louisiana, Mississippi, North Carolina, South Carolina, and Tennessee). Letters of Intent are due June 24 at 5 p.m. ET. Learn more and apply. The Baseball Tomorrow Fund will make awards to nonprofit organizations, municipalities, and other tax-exempt organizations involved in the operation of youth baseball and/or softball programs and facilities. Funds may be used to finance a new program, expand or improve an existing program, undertake a new collaborative effort, or obtain facilities or equipment necessary for youth baseball or softball programs. The average award amount is $40,000. Applications are reviewed on a quarterly basis. The application deadline is July 1. Learn more and apply. The Looking Out Foundation seeks to amplify the impact of music by empowering those without a voice and generate awareness about issues and injustices in our communities. The Foundation provides grants averaging $1,000 to $5,000 to support disadvantaged youth, public health, women, the environment, the arts, the hungry, and the homeless. Eligible applicants are 501(c)(3) nonprofit organizations and government agencies. Applications are due August 1. Learn more and apply. The Polaris Industries T.R.A.I.L.S. (Trail Development; Responsible Riding; Access; Initiatives; Lobbying; Safety) Grant Program is accepting applications to promote safe and responsible riding and preserve access. Funds can be used for trail development and maintenance projects, safety and education initiatives, lobbying, and other projects to increase and maintain land access. Grants of up to $10,000 will be made for government and nonprofit organizations with 501(c)(3) or 501(c)(7) status. Applications are due September 1; award notifications will be made within 30 days after the end of the month of review. Learn more and apply. The Surplus Federal Property Donation Programs help state and local public organizations acquire surplus federal real estate property and personal property that is no longer needed by the federal government. The Real Property Program allows property to be transferred to local agencies and institutions at discounts up to 100 percent of fair market value for public parks, public recreational areas, historic monuments, public health or educational uses, wildlife conservation, and other related purposes. The Personal Property Program allows most local public agencies, nonprofit educational and public health agencies, and nonprofit programs for the elderly to receive tangible items ranging from common products, such as office equipment and furniture, to specialized apparatuses, including heavy machinery. Applications are accepted on an ongoing basis based on the availability of property. Learn more and apply. The Still We Rise Fund is designed to support community-based efforts to defend residents and families, build resiliency, and develop new strategies and alliances to support the rights of vulnerable communities, including immigrant, Black, Arab and Muslim, Native-American, women, working-class, and LGBTQ communities. Eligible applicants are 501(c)(3) nonprofits and other community entities with a 501(c)(3) fiscal sponsor. The typical award size is $5,000. Applications are accepted on a rolling basis and distributed monthly. Learn more and apply. This program provides the opportunity for MLB groundskeepers to share tips and techniques with other professional sports turf managers, coaches, parents and volunteers who are involved in the maintenance of youth baseball and softball fields. In conjunction with the clinics, the Baseball Tomorrow Fund awards a $10,000 grant to a local organization selected by the participating Club. The grant funds are used for the purchase of field maintenance supplies, equipment or services. Learn more and apply. The CAN’d Aid Foundation is accepting applications from communities, local organizations, and local government entities to help support recycling programs. The Foundation awards small grants to fund program expenses including signage and education, and also provides in-kind recycling tents and bins and training on sustainable waste management. The typical award amount is $5,000. Applications are accepted on an ongoing basis. Learn more and apply. The United States Department of Agriculture (USDA) provides grants, low-interest direct loans, and/or combinations of the two to develop essential community facilities in rural areas, including public facilities, community support services, and local food systems such as community gardens and food hubs. Public entities, nonprofit organizations, and tribal entities in rural communities are eligible to apply. Applications accepted on a rolling basis. Learn more and apply. Keep America Beautiful's Community Restoration and Resiliency Fund benefits Keep America Beautiful Affiliates that serve communities directly affected by natural and environmental disasters. The fund provides immediate and long-term support for initial and ongoing cleanup efforts and helps rebuild vital public spaces: parks, greenways, community gateways, Main Street/downtown areas, open spaces and more. Applications accepted on a rolling basis. Learn more and apply. With funding from the USGA, the National Alliance for Accessible Golf is providing financial assistance and resources to make golf more accessible to people with disabilities. The funding agency is especially interested in projects that focus on inclusion of people with disabilities in programs that involve those without disabilities with the ultimate goal of enhancing their inclusion into the fabric of their community. Applications will be accepted from 501(c)(3) nonprofit organizations and government entities. Grants are generally limited to $20,000. Applications will be accepted on a rolling basis. Learn more and apply. The USTA offers technical and financial support to improve tennis facilities across the country. In addition, selected communities will be appointed project consultants from the USTA National staff who will deliver personalized support and service. Applications for assistance are accepted on a rolling basis. Learn more and apply. When looking for funding and grants, there are many resources available on the Internet. Below are just a few suggestions on where to start your research. Foundation Center: Provides both training and research information on corporate and foundation grant programs. The grants database is a collection of thousands of grants. Guidestar: An excellent source of IRS 990 forms for foundations and other nonprofit organizations. Chronicle of Philanthropy: The Chronicle is a newspaper for nonprofit news publishing, fundraising trends, resources, and recent grants. Nonprofit Times: Nonprofit management newspaper. Hoovers: Profiles millions of U.S. companies. It is a great source for employee contact information. Fortune Magazine: A resource for identifying companies by state and industry. If you are interested in learning more about NRPA's fundraising resources please contact Cassie Pais at 703.858.2151.